Is seems that I'm not the only nostalgic one who has fond memories of this kit range. So to that end I thought it would be a good idea to scan the images from the original catalogue. I'm always interested in collecting any Cambria models having found quite a few so far. 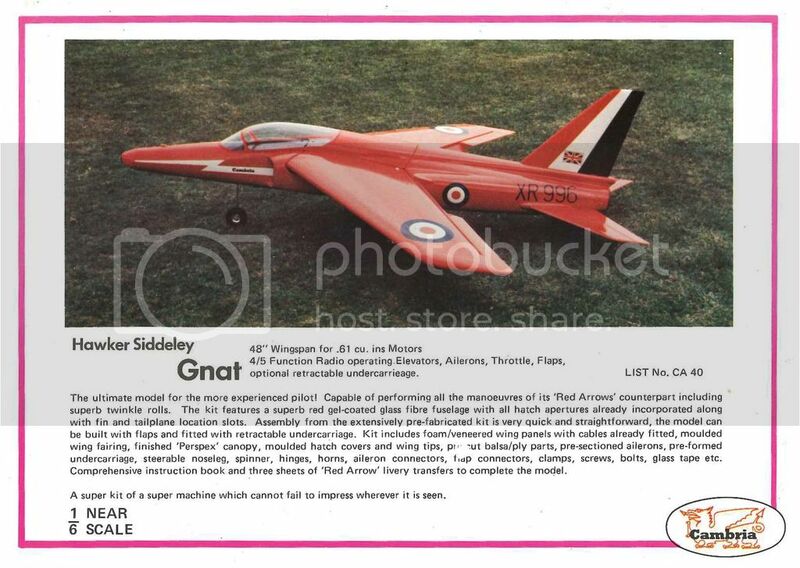 I'm still looking for a Slingsby Eagle, Skylark and Kadet gliders, oh and a Scimitar if possible...(rare as rocking horse doo-doo)!!! If anyone has any of these that they wish to sell then let's talk. Thanks for this, super to see them again.. As a lad I needed a new canopy for my Capstan.. unbeknown to me my father contacted Cambria in Llanidloes to get a new one.. we then called in enroute to a caravan holiday near New Quay in Wales.. I got a factory tour, new canopy, catalogue and some decals ! I was made up and silent in the back of the car for the rest of the trip. I bagged a Merlin at Aberystwyth models back in the 70's, built it on the upturn dining table in the caravan.. Happy days indeed.. Thanks Jason! Thanks for this, I had forgotten which model it was. I was always taken with the Fauvette, still have a Miri 100 and a Diamant. I have a Cambria 'Instructor' under construction / refurbishment at the moment for electric power. (Managed to find it as an almost complete assembled uncovered kit on the 'bay' . This was for the 'built-up' wing version, though I have had a 'foam' wing cut which I intend using first. Full size two-sheet plans, original instructions & copy of 'RM' review were available on the 'bay' too. 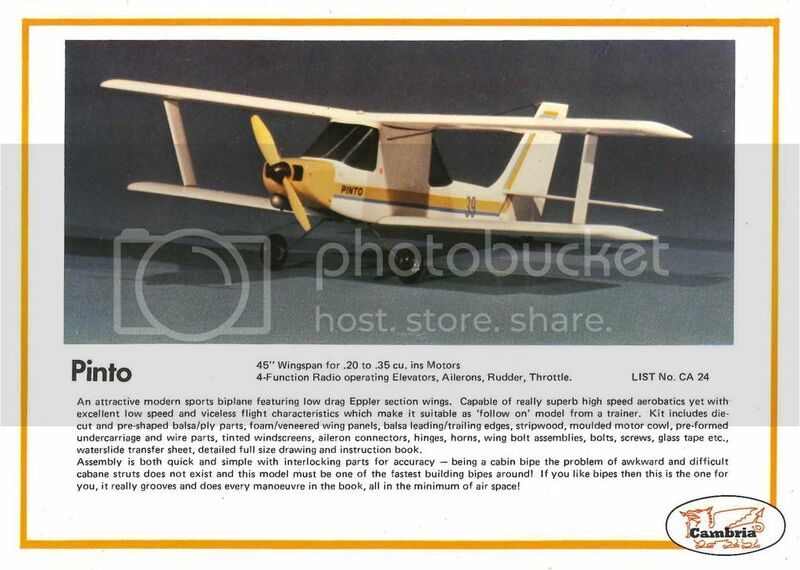 Also, I noticed a Canadian forum member had recently advertised a un-built kit . 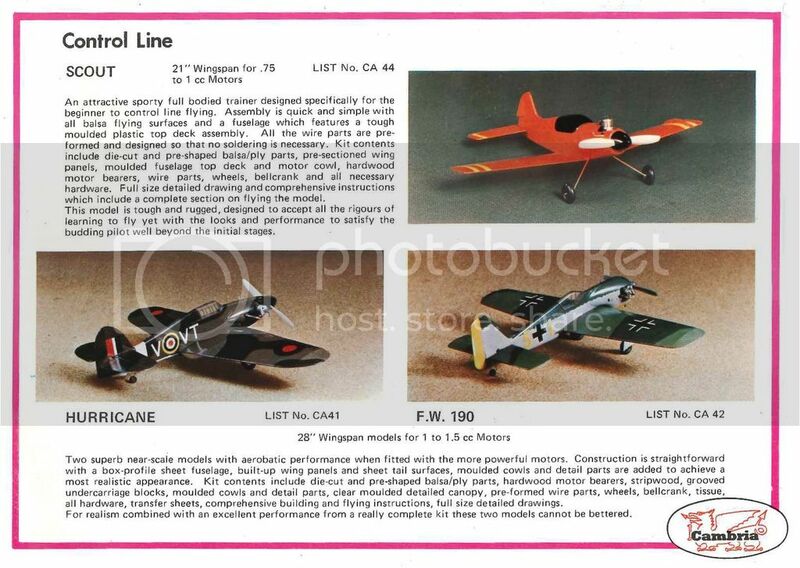 In the 70s had several Cambria models including: FW190, Me109, Capstan (a bit of a brick IMO) and a low wing intermediate aileron trainer, the name of which escapes me. The intermediate trainer you mentioned may have been the CFI, or chief flying instructor. I will post a pic shortly. However, I had no recollection at all of the three Cambria C/L models shown, which is odd as C/L was my main interest "back in the day" when these ads would have been current. Interesting stuff! 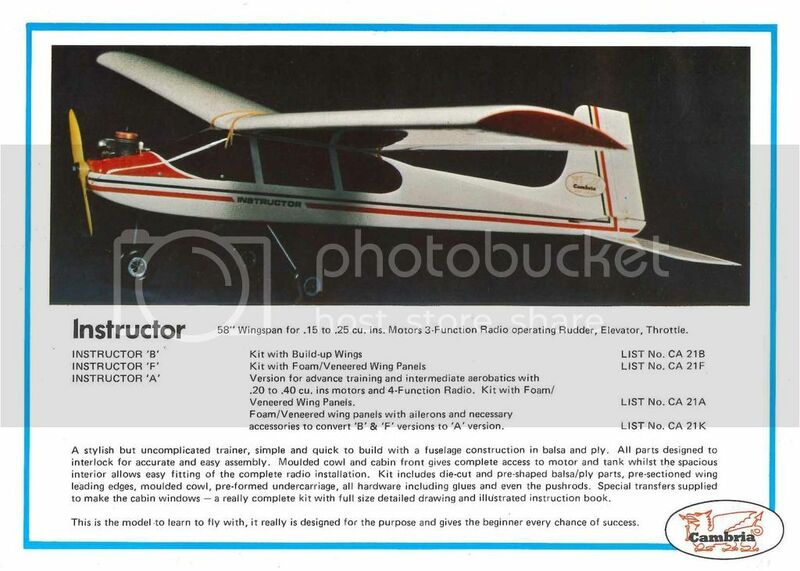 I had a 3 channel Instructor to learn on, great flyer, when to a HiBoy for 4 channels, but then went back to the Instructor and added the aileron wing. The aileron wing was quite nice as it was semi symmetrical at the tips and changed to flat bottom at the centre where it met the fuselage. Also had an Eagle which flew very nice too. 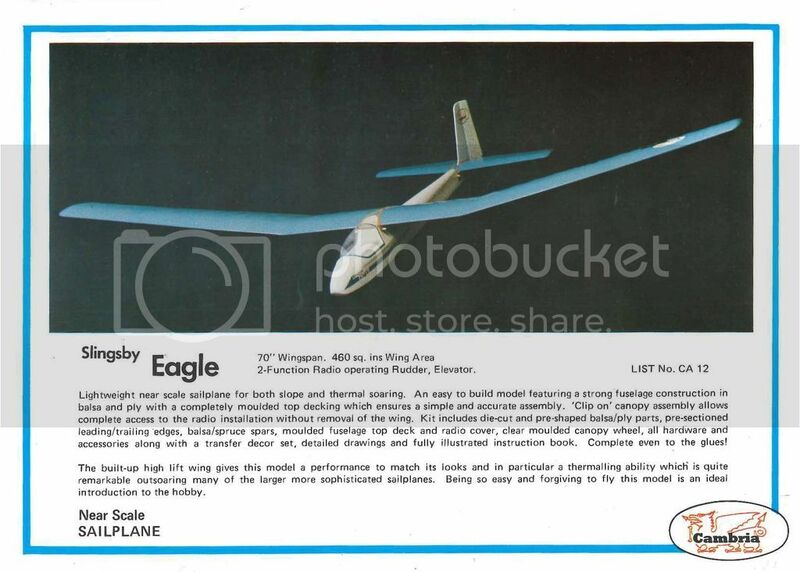 I still have my Slingsby Eagle, with the box, plan, spare cockpit moulding and transfer set. I think I built it around 1978. I used to bungee it and also slope soared it as a member of Malvern Soarers Association. Good flyer, but you have to be careful on the bungee not to pull too much elevator too soon because it can snap stall very sharply. Look out for that and it is fine. 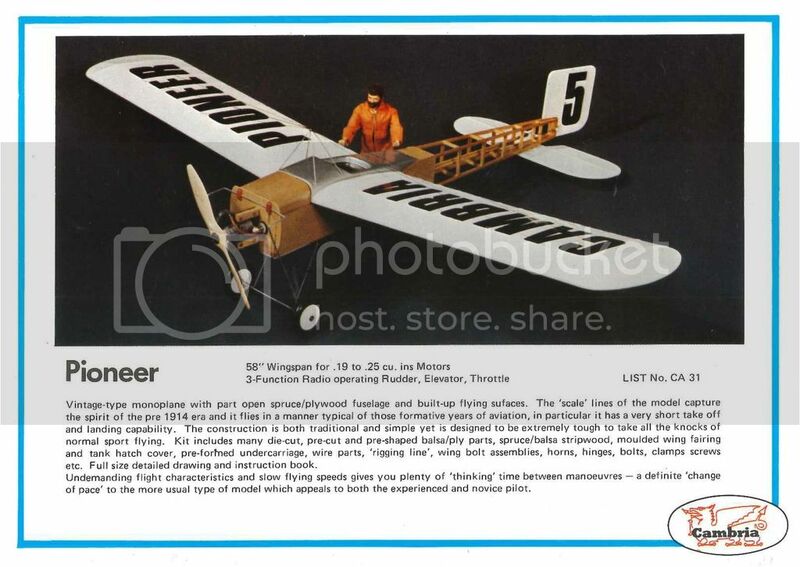 I have a Gnat kit that was given by a friend of a friend who discovered I flew models. 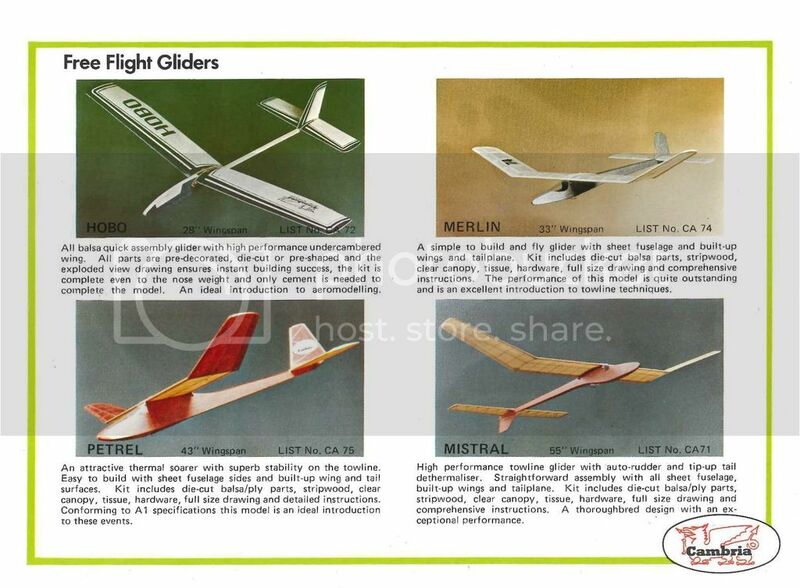 Looking at the catalogue again after all these years, always hankered after the Pioneer and the Pinto too. I'll bet either would be great converted to leccy power. If someone decided to market some of these Vintage, in the real sense of the word, kits I'm sure they would sell well to trad' builders. The Cambria Instructor 20 is a lovely model. Mine has an OS20 four stroke in it, and is great fun in a flat calm doing circuits and bumps, with the downwind leg at about 15ft off the ground. It also does wonders for your throttle control and spot landings. There is a Cambria Eagle hanging in the clubhouse at our gliding club. Quite apt, as there is a full-size one which got the two seater cross country record many years ago, in the hangar. Our Cambria Merlin was lost out of sight from a hand launch off a small slope. Hopefully someone found it and got some more use out of it. We had a Cambria Capstan (full size one of those in the hangar too) but the fuselage was very heavy and I don't recall flying it myself. 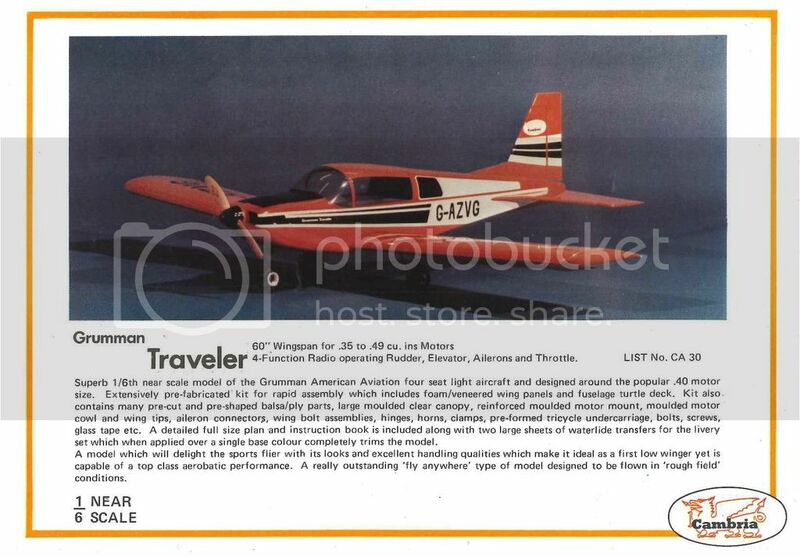 I remember my dad had 2 Grumman Travelers both fuselages broke behind the trailing edge ! also he built a Pinto with if I remember correctly powered by an OS 25 FSR. 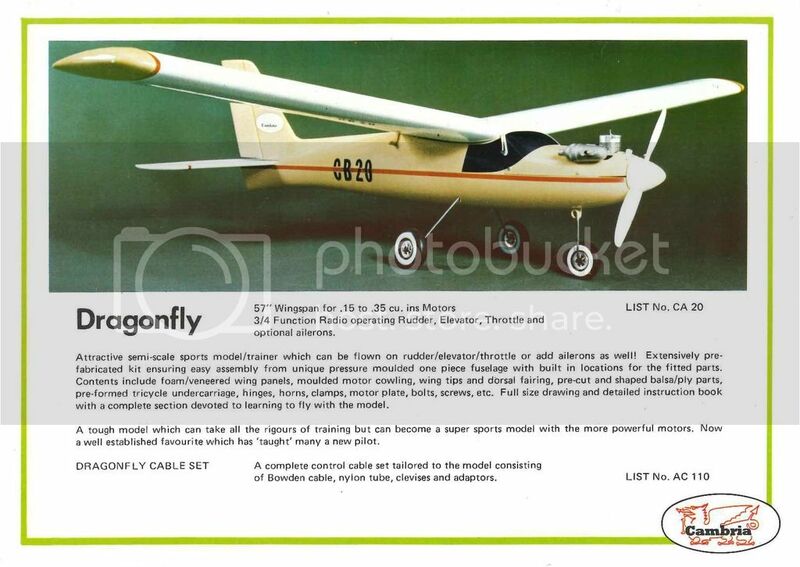 I bought a Dragonfly in about 1975. 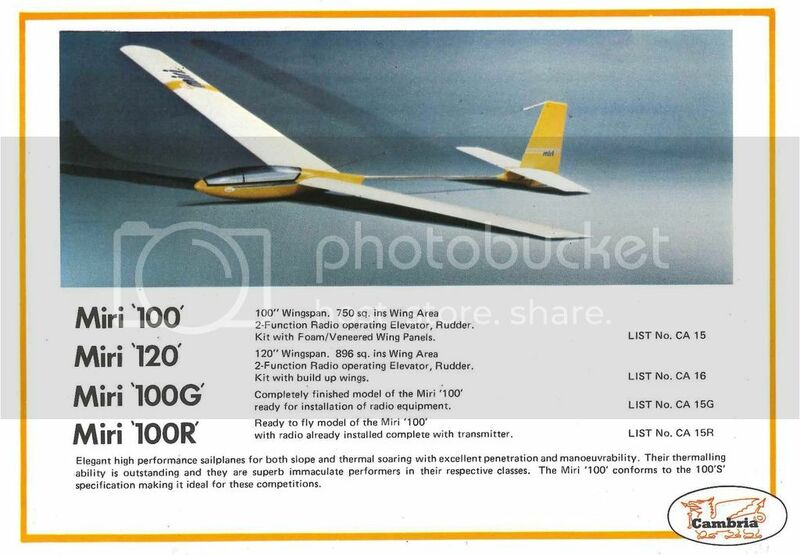 Strange expanded foam fuselage, weighed quite a bit as I recall. Not the prettiest of models, but did the job. A fellow club member bought the Gnat, and put an HP .61 on the front. I never saw it fly, as he was one of these people who tried to run before he could walk. He hadn't actually learned to fly at the time. I never saw him or the model again. A crazy mate of mine in the early 1980s used to play 'beat the bungee down' with his Cambria Capstan. He'd catapult the model up to height and when released from the line, half roll the model and race the parachute on to the deck. Sometimes he'd win, sometimes the parachute would. Mad really. Judging by the engine, its probably the 20 size.